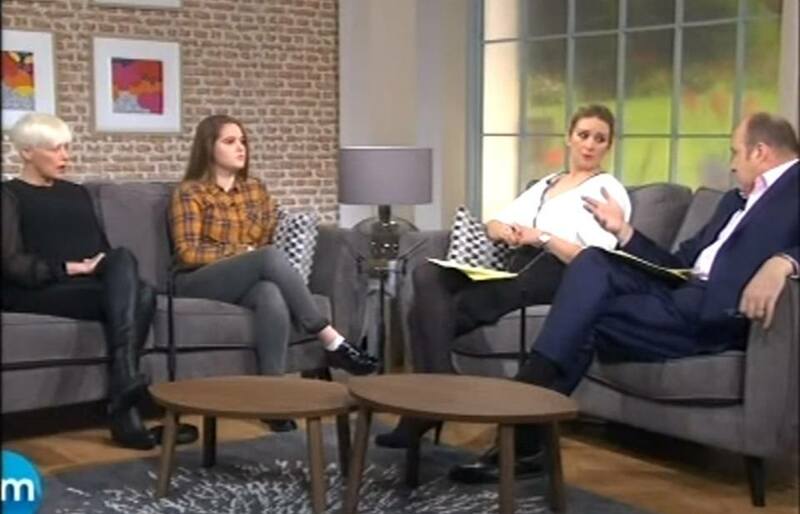 Gardasil vaccine-injured discussion on Ireland TV. Image source. In the United States, the idea of mandatory vaccination, vaccine damage, and informed consent is reaching a boiling point amongst the country’s population. Yet the mainstream media coverage regarding vaccines is either one-sided in favor the shots or completely silent. The combination of an ongoing mainstream media astroturf campaign coupled with 70 percent of mainstream media advertising revenues coming from pharmaceutical companies has rendered U.S. mainstream media incompetent in their reporting about the dangers of vaccines. Meanwhile, in Ireland, the support and activist group Reactions and Effects of Gardasil Resulting in Extreme Trauma, or R.E.G.R.E.T. has brought worldwide attention to the country’s mounting HPV vaccine injury, political apathy and mainstream medical incompetence surrounding the issue. Set up by dedicated parents of teenage girls who developed serious adverse reactions after taking the HPV vaccine Gardasil, R.E.G.R.E.T. is making the Irish media do their job and the medical community take notice. The increasing media attention is serving to give a black eye to the Irish medical community’s lack of proper informed consent — an unfortunate trend being seen both in the Europe Union and the United States that is damaging the integrity and trust of their respective medical systems. The Irish HPV vaccination campaign started in 2010 as teenage girls began receiving Merck’s Gardasil through a collaboration with the school systems. In Ireland, the teenage girls (and perhaps soon boys) are given the shot on school grounds. The Irish Health Service Executive (HSE) in collaboration with the National Immunisation Steering Group specifically instructs educational facilitates and school staff administering the HPV vaccines to “not include a patient information leaflet.” Instead, parents considering signing the HPV consent forms for their daughters are allegedly given a marketing leaflet that says nothing about the serious, long-term side effects. This fact alone would violate informed consent laws and regulations of virtually every medical governing body and medical association worldwide. In addition, Irish schools have allegedly made little to no exceptions for special needs children giving them the HPV vaccine as well. Unlike the United States, Ireland has no vaccine injury compensation program. A report created for the Minister of Health and Children calling for the formation of a compensation program in 2009 was ignored, essentially leaving Irish citizens helpless against vaccine damage. Ireland’s Health Products Regulatory Authority (HPRA) had the ability to track the HPV side effects, yet parents were apparently not made aware of its existence. 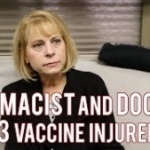 To complicate matters, the HPRA, like the VAERS system in the U.S., is grossly underutilized by medical professionals to report vaccine adverse reactions. The end result to date in Ireland has been a medical community caught unaware of what HPV vaccine reactions look like and how to treat them. In the face of medical ignorance and a broken reporting system, a potential HPV vaccine adverse reaction epidemic has gone unnoticed. The Irish High Court ignored calls by its people to halt the HPV program and ruled instead to uphold the recent recommendations of the The European Medicines Agency’s (EMA) Pharmacovigilance Risk Assessment Committee who concluded that “there is no reason to change the way the vaccines are used or amend the current product information.” This EMA investigation was initially prompted by the demands of Danish health authorities as the country was experiencing it’s own increase in HPV-related serious adverse reactions. The combination of alleged blatant violations of informed consent, lack of medical ethics, and ignoring families coming forward with vaccine injured teenagers prompted Irish senator Paschal Mooney to call his country’s HPV program a “national disgrace” in October 2015. Irish Minister for Health Leo Varadkar has repeatedly refused to meet with the parents of 140 previously healthy Irish girls who are suffering ongoing, chronic, and long term debilitating health issues. Since Senator Mooney’s speech, the Irish mainstream print and television media has kicked into high gear reporting almost daily about the HPV vaccine adverse reactions. Varadkar attempted and failed to calm Irish parents by stating in July of 2015 that the HPV vaccine has been monitored for safety in Ireland and is effective. Meanwhile, behind the scenes, he was busy drafting a major package of patient safety reforms overhauling adverse events reporting, detecting “worrying patient safety trends,” and increasing public confidence in Irish health services that was later rolled out in November of 2015. A new documentary titled ‘Cervical Vaccine: Is It Safe?’ aired in Ireland on the 14th of December on TV3, one of the country’s major mainstream television networks. Kiva and Kelly Murphy will be one of the families highlighted in the documentary. This will mark the third mainstream documentary calling into serious question the safety and effectiveness of the HPV vaccine in worldwide circulation. The R.E.G.R.E.T. support group has a designated representative in each Irish county to field the expected incoming correspondences of parents of vaccine injured teenagers after the documentary airs.